DIVORCE: Can I start dating while my case is pending? Do I have to be celibate? It has been said that the wheels of justice turn slowly. Never more true than for people who are anxiously waiting to be divorced. 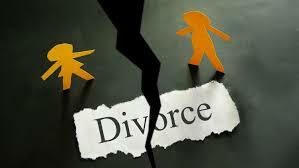 Many people going through a divorce just can’t get the process behind them fast-enough. They want to start dating again, and they don’t want to be celibate while they wait. Recently, the New Hampshire Supreme Court addressed the issue of adultery during the marriage and that which later occurred in a new relationship after the petition for divorce had been filed. For many, that case provided no comfort. In Ross v. Ross, 169 N.H. 299 (2016), the Court was confronted with a situation (not all that uncommon) where almost 1l months after the petition for divorce was filed the husband began a sexual relationship with his new girlfriend.